Anyone with a modicum of experience in the Middle East knows the most important issue to the Syrians is the return of the Golan Heights. The 460 square mile area between Israel, Syria and Lebanon has been occupied by Israel since it was seized during the Six Day War in 1967. 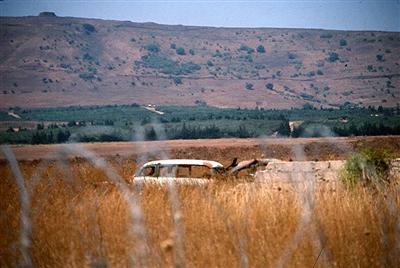 In October 1973, during the Yom Kippur War, Syrian forces attempted to retake the Golan in a surprise attack. Although initially promising, the Israelis quickly regrouped, mobilized their reserves and pushed the Syrians back. 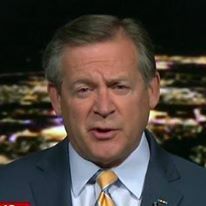 Not only did the Israelis regain all the lost ground, they pushed to within 20 miles - artillery range - of the Syrian capital of Damascus. A United Nations agreement ended the war, and Israeli forces withdrew to the pre-war lines, still in possession of the Heights. 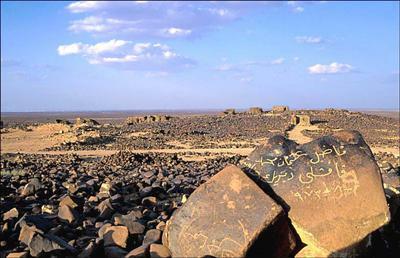 Since there has been a Middle East peace process, Syria's primary demand has been the return of the Golan Heights. 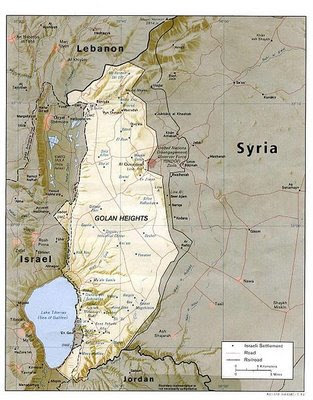 It makes sense - no matter how you define the geography of the region or what map you use, the Golan is undeniably Syrian territory. Of course the Syrians want it back. Just last week, President Bashar al-Asad said unambiguously that without the return of the Golan Heights there will be no agreement with the Israelis. Successive Israeli governments, despite a large vocal minority that is in fundamental disagreement, understand that the price of peace includes the return of the Golan Heights to Syria. Many Israelis - the ones who want to keep the Golan - cite the "strategic military" value of the Heights. While that was true in the 1960's and 1970's, technology has overshadowed the geography. 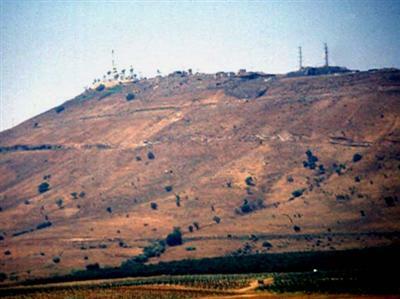 Syria does not need the Golan Heignts to rain fire down on Israel - it possesses short and medium-range missiles that can hit almost any spot in Israel with high explosives, and many areas with chemical weapons. That said, there is an advantage to holding the high ground of the Golan. Israel has installed a huge electronic and visual intelligence collection facility on the highest hill on the Golan - Har Avital to the Israelis, or Tal Abu Nada to the Syrians. Another aspect of Israeli control of the Golan, one that is usually overlooked by those who misinterpret motives in the region, goes beyond intelligence and security - it has to do with water resources. The Golan Heights is the venue of the headwaters of the Jordan River, one of Israel's main sources of water. When we in the west talk about the Middle East, we think of oil. If you live in the Middle East, you are more concerned about water. Because of the area's excellent agricultural characteristics, the Israelis have invested tens of millions of dollars in the infrastructure of the Golan Heights. They will naturally be reluctant to desert that investment. There is a price Syria must pay. To secure Israeli agreement to return the Golan, Syria would have to agree to stop allowing Iran to use Syrian airspace and Damascus International Airport as its main supply route for Hizballah in Lebanon, as well as allowing Damascus to be the home of many Palestinian "liberation" groups. In what has become routine, Syrian officials declared themselves frustrated with the lack of progress in the peace process and threatened to take the Golan Heights back from Israel by force. That's the rhetoric, but not the reality. The Syrian military has been in a state of decline for the last decade. Their armed forces are in a state of atrophy, while the Israel Defense Forces have constantly modernized and upgraded their capabilities. The qualitative chasm between the two, or any combination of Arab militaries, continues to grow. The chances of the Syrian army taking the Golan by force are minuscule. Granted, the bulk of the Syrian army is deployed on the two major attack routes from Israel - through Lebanon or over the Golan Heights. Still, there is no way the Syrians could again surprise the Israelis, nor mount the force required to take the Heights by force. Syria taking the Golan Heights by force? It is an empty threat. Personal footnote: If you are nterested in an excellent realistic account of life in the Golan Heights, you might want to rent the movie The Syrian Bride.